Lock in a great price for The Saint Hotel, Autograph Collection – rated 9 by recent guests! I made a special request to have linen shaped like a swan on the bed. There it was when we walked in. Location is good. Streetcar runs outside the door. ($3 for 24-hour pass) - Parking garage just across the street on its north side. Walking distance to Bourbon Street, French Quarter, Jackson Square, etc. Decor, bed, serenity and location. Must commend Damion! Setting was ethereal, contemporary yet elegant. Had twist of naughty and nice which was tasteful and respectful. Staff was great! Older property remodeled with a modern twist. Rooms small but very nice . Very nice decor, stylish lamps , modern bathroom and shower . Bed comfortable. Lobby very cool! Great staff and good southern hospitality! The lobby and bar were nice. The valet was great at a busy time. Room was kept clean everyday. The staff was very friendly when we saw them & the hotel was always clean. A very comfortable stay. This hotel is a beautiful property. I felt like royalty the entire stay. I would definitely recommend this hotel to anyone traveling to New Orleans. The Saint Hotel, Autograph Collection This rating is a reflection of how the property compares to the industry standard when it comes to price, facilities and services available. It's based on a self-evaluation by the property. Use this rating to help choose your stay! 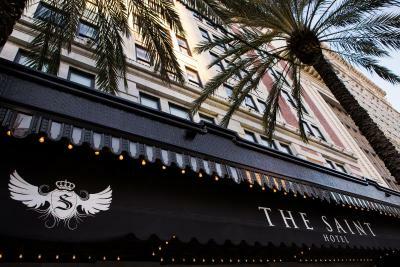 One of our top picks in New Orleans.Located in New Orleans Central Business District and within walking distance of Bourbon Street, The Saint Hotel, Autograph Collection offers luxury accommodations in close proximity to the Canal Streetcar line. 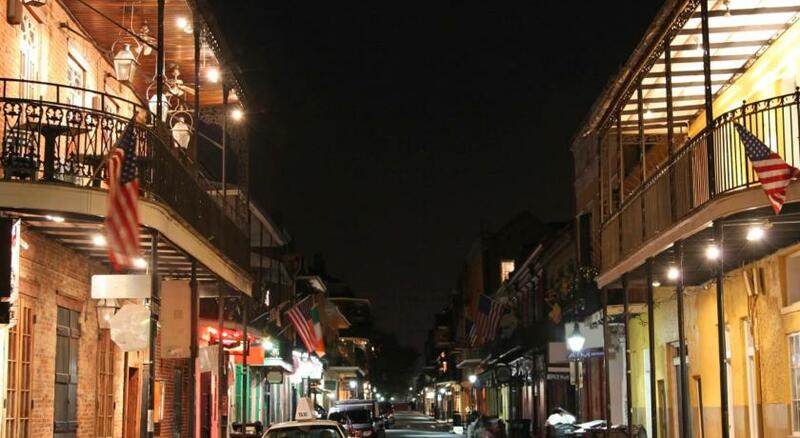 The French Quarter is a 5-minute walk away. A flat-screen TV, mini-bar and tea- and coffee-making facilities are provided in each room. A work desk and ironing facilities are also offered. There is a fitness center and business center at this New Orleans Saint Hotel. Guests can enjoy the shared lounge areas or play billiards. WiFi is available throughout the property. The concierge desk can assist guests with questions about the area. Tempt, the on-site restaurant, offers local Louisiana cuisine for breakfast and dinner, while Burgundy Bar, the on-site jazz club, serves cocktails and hosts live jazz musicians from Thursday to Sunday. 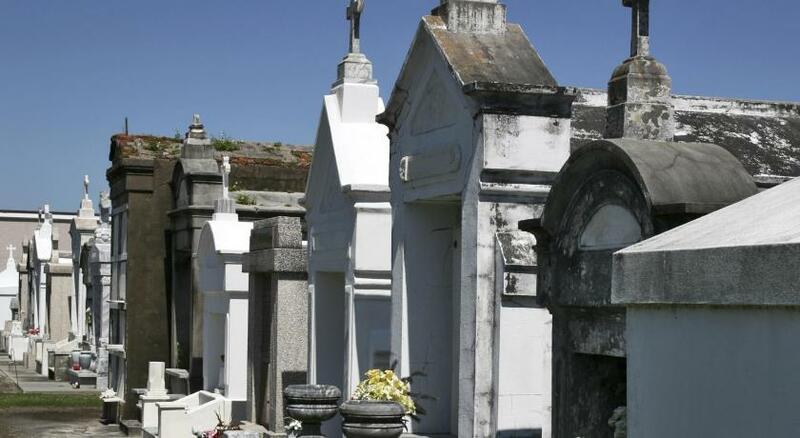 The New Orleans Historic Voodoo Museum, New Orleans Jazz Museum and the Louis Armstrong Park are all within a 5-minute drive from the hotel. The Audubon Aquarium of the Americas is an 8-minute walk away. The nearest airport is Louis Armstrong New Orleans International Airport, 11 mi from the property. When would you like to stay at The Saint Hotel, Autograph Collection? This room offers a flat-screen TV with premium channels, a work desk and seating area. Bathrobes and toiletries are provided. Public parking is available on site (reservation is needed) and costs USD 38 per day. Private parking is available on site (reservation is needed) and costs USD 38 per day. The Saint Hotel New Orleans in the world famous French Quarter is a modern celebration of New Orleans’ historic role as the birthplace of jazz. House Rules The Saint Hotel, Autograph Collection takes special requests – add in the next step! The Saint Hotel, Autograph Collection accepts these cards and reserves the right to temporarily hold an amount prior to arrival. Room is not as expected, comparing to lobby. But it’s big and comfortable. The sheets didn't have a fresh clean smell. They smelled as if they weren't completely clean. Cool vibe and chic room decor! Our room was cleaned too late in the day. At 5 feet 4 inches, for me the shower was of very little value Will the US ever copy Western Europe by installing mobile shower heads? Staff at the entrance is very loud laughing and talking very loudly and considering that the breakfast area is very close to the entrance, we sometimes had difficulties to have a normal conversation between us. Also no consistency with the service, depending on the waiter that you have, you have different level of service, like if there's no standards and training has been given in a complete different way to different staff member. Also it was a costant noise in the room, like an air con (our was switched off all the time as it wasn't necessary in February) or something in the pipes, that was making a constant vibration. It didn't particularly bother us, as we didn't spend much time in the room, but I guess for someone could be very annoying. We needed ear plugs to sleep. We liked the central location and the "feeling" in the hotel, the staff all is very nice and the room was large enough and comfortable. It was also very clean. It was comfortable and convenient. It’s definitely not a dislike of the property but the time I choose to visit was Mardi Gras day So I had to walk 2 1/2 miles with luggage before getting to the hotel. The mini bar had a half empty bottle of wine and an open bottle of grey goose. When I told the front desk on our way out including showing her the picture I took within minutes of checking into the room of the empty bottles, she acted like I was lying but would “send someone to investigate”. So someone went to the room while we went to our anniversary dinner, took the bottle of champagne that I brought there with me and proceeded to charge me for the minibar items I didn’t drink. In top of that, the room was not very clean. Won’t be back.